As you know from my recent post, Fantastic Fungi, I really love good mushrooms. Of all the varieties out there, fresh porcini mushrooms are probably my number one favorite. While I use them, dried porcini just don’t have the same flavor. As you can imagine, they are not plentiful in the desert. In fact, it is hard to get anyone to ship them to me, as they are incredibly fragile. One of our local markets will occasionally carry fresh exotic mushrooms that come from the Pacific Northwest. Chanterelles, morels, and porcini are the three I watch for. Recently, I was at that store for a really quick errand - probably milk for my morning cocoa. I walked in, and was passing through the produce section, when I saw little round-ish boxes of mushrooms, which is not how they usually sell them. I walked up to the display and was so happy to find boxes of beautiful, plump boletus edulis... fresh porcini mushrooms, for the price of small house. Actually, the price wasn't too exorbitant, so I bought 4 ounces. Bring the broth to a boil in a saucepan, then reduce heat and keep at a simmer on the back of the stove. 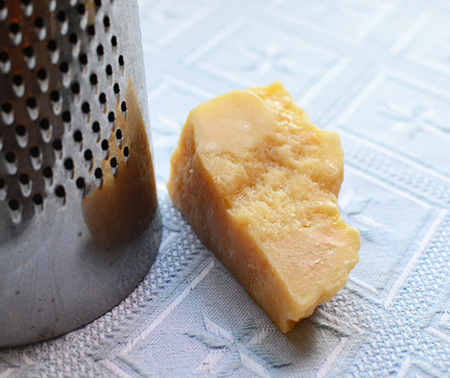 Melt the butter together with the olive oil in a large kettle over medium-high heat. Sauté the porcini until they have taken on color and are golden at the edges. Reserve 2 slices for garnish (4 slices, if serving as a primo course). Add the rice and sauté a minute or so longer until it is opaque. Add the wine and stir, continuing to cook until the spoon leaves a trail on the bottom of the pan. Then, one ladleful at a time, add the simmering broth. Continue to stir after each ladleful until the spoon leaves a trail in the pot, and before adding the next ladleful of broth. Continue adding broth in this manner, stirring constantly, until all the broth is used up. Add the nepitella (or parsley) and stir well. Don't let the risotto get too thick. It will thicken considerably as it comes to serving temperature at the table. You want it al ondine (literally, "to the wave"). Divide among serving bowls and top with grated cheese and the reserved porcini slices. Serves 2 as a main course, 4 as a first course. 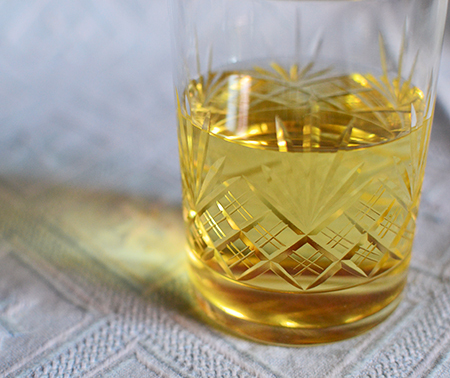 • Canned beef broth is too strong for this risotto, so consider using a very light chicken broth flavored with a little beef bouillon, or a 1/2 teaspoon of beef bouillon paste. 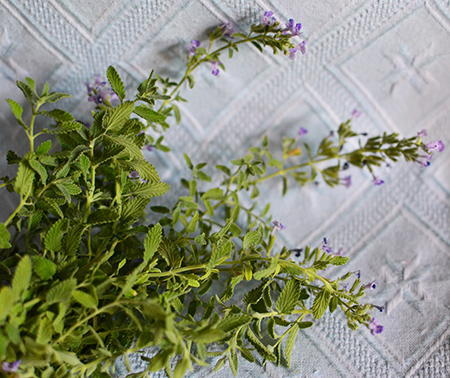 • Nepitella, also know as calamint or cat mint (not catnip! 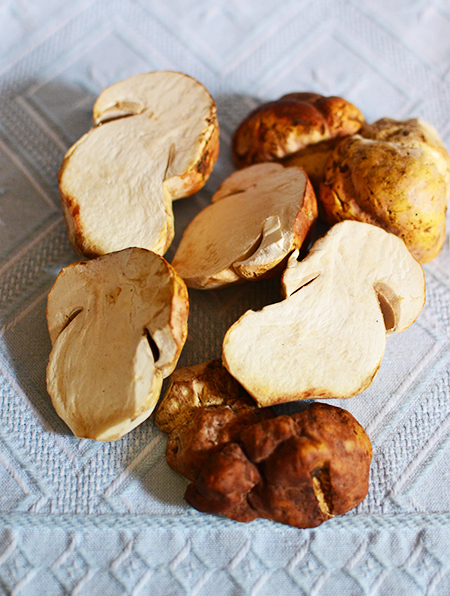 ), is an herb that grows in Tuscany and is used with porcini mushrooms. Its leaves have a light floral fragrance. 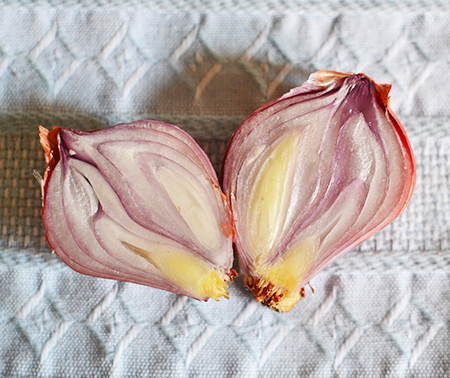 We learned this in Tuscany, and then learned in Rome that if nepitella isn't available, we should just use parsley. What a perfect way to use those glorious porcini mushrooms. I bet you gasped when you first saw them sitting there in the market! Not sure if it was a gasp or a squeal, John! I keep looking, hoping they show up again! David, I love mushroom risotto and I want to eat that whole bowl, right now! I fell in love with chanterelles back in my traveling days and I've never seen them here at home. I will try this dish with what I can find at our market, but chanterelles would be dreamy in this!! 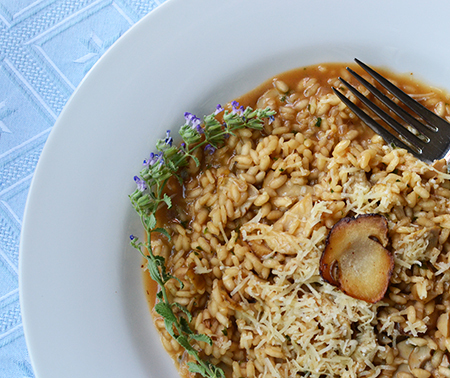 Marcelle - I have often found nice chanterelles (which would definitely be amazing in this Risotto) at Whole Foods. I hope you find some and give this a try! Yes, Greg - You are lucky! We have one or tow vendors at our farmers market that carry oyster mushrooms, and I keep hoping they find ways to grow more in the desert! This looks delicious! I love exotic mushrooms. I'll have to keep an eye out to see if I can find any porcinis! Porcini are the hardest to find, Caroline - I hope you are successful, as they are worth all the time you spend looking! 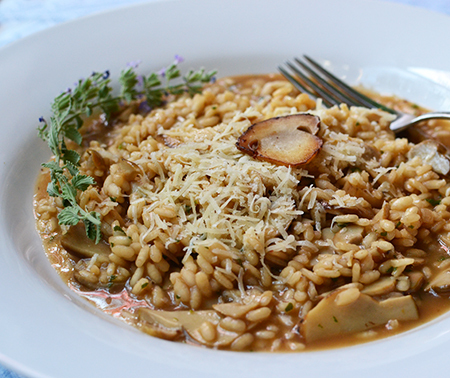 I actually realized that included in my recent Try the World box from Italy was a package of dried porcini mushroom risotto! I made it last week and it was delicious! I'm sure it's even more amazing with fresh porcinis but I have to say I'm glad I have a second package of the risotto! Yes please! Such an autumnal dish and so full of flavour - those mushrooms look amazing. Thanks, Caroline - they were amazing and I hope I find more soon! What a delightful dish David! nepitella sounds like a magical herb, never heard of it before. Do you grow your own? Hi Cheri - the Latin name for nepitella is Clinopodium nepeta. It is very easily grown here although can die away in our hot summers. But you can easily grow it Oregon! It is known as catmin and calamint. 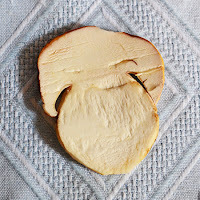 Mushrooms are one of my favorite foods but alas I don't think I've ever had a fresh porcini mushroom. Given our close proximity to Kennett Square, the mushroom capital of the world, I think I can remedy this. When I was a kid, Nicole, they were only growing white button mushrooms in Kennett Square! I think they eventually hopped on the portobello train. Do you think they grow porcini? Love it: "... for the price of a small house"
David, this looks beautiful and delicious with fresh porcini - a real treat indeed and as ever your photos are so tempting! 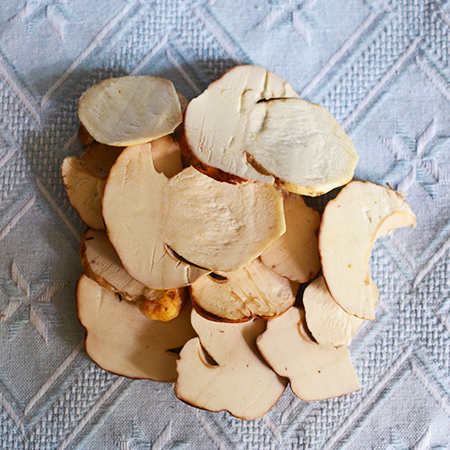 Well – fresh porcini and fresh truffles are two of my favorite things! I just came back from my travels with a lovely Burgundy summer truffle. I can't wait to try it tonight! I have fungus envy, David. I've yet to see porcini around there in the fall.I do take advantage of them when I find them in the spring, however. 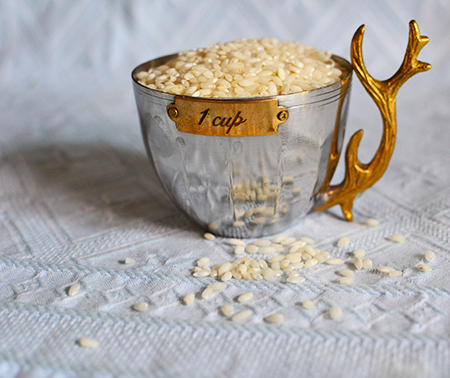 Using them in risotto is a must and you've shared an excellent recipe and method. So glad, too, that you warned against using prepared beef broth. Even the low sodium types are usually too salty for many dishes. Thanks for sharing another winner. 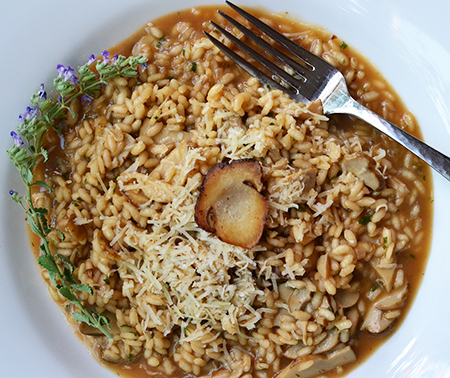 Risotto--great choice. A friend is growing oyster mushrooms, and has a temporary glut, so I am taking a few lbs off her hands. My once only attempt at risotto failed (though I love it)--perhaps I will have to try again. Wow, Inger - friend with a glut of oyster mushrooms is a friend indeed! Enjoy! Oh one of my favorite types of risotto! You just can't beat fresh mushrooms, especially porcini. Although, I have a thing for chanterelles as they evoke childhood memories of hunting for them in the forests of Scotland. What a feeling to spy one of the glorious yellow prizes as a child! I really need to go back in autumn to go mushroom hunting again! Chanterelles are lovely but, to me, don't light a candle to the flavor and texture of porcini. I do have a chanterelle recipe coming up for you, though - keep an eye out for it round Christmas time! I am a huge fan of mushrooms! Porcini and chanterelles are some of my very favorites. Wish I knew more.... I accompanied the local pharmacist on a mushroom hunt in Lourmarin but, even with his stamp of approval, I was a tad bit nervous! Have you gone mushroom hunting? The risotto looks terrific. I went funghi hunting once with a mycologist from the New York State Museum - and trusted him completely. It was great eating all those wild mushrooms. Maybe I will get to do that when we are in Tuscany next September!